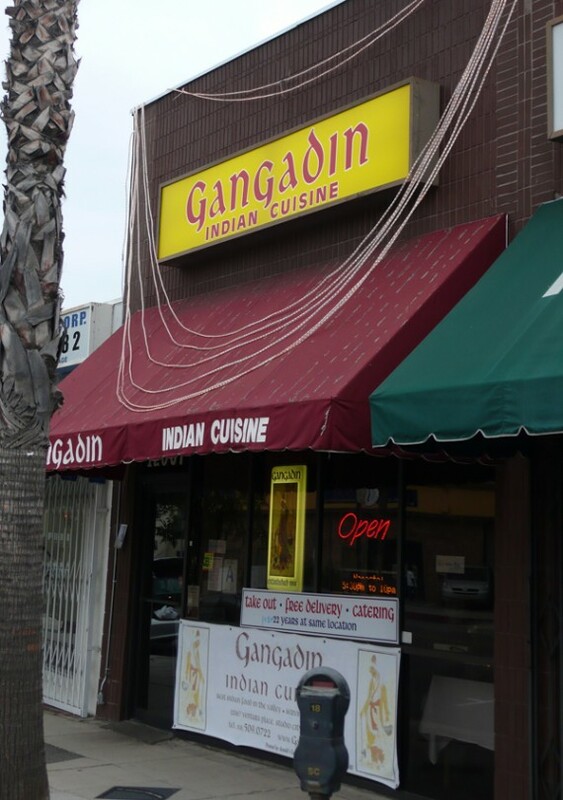 Gangadin, an Indian restaurant on Ventura Place that’s close to the intersection of Laurel Canyon and Ventura Blvd. would otherwise be an average Southern Californian interpretation of a Northern Indian curry house, but it smashes through a barrier of mediocrity by offering a special menu for vegans. I’m not talking about a typical vegan menu where meat is substituted for vegetables (kindly for the same price), but a REAL and seriously prepared vegan menu with a respectful kitchen and staff that are knowledgeable about what a vegan is and what we require as dietary predicates. 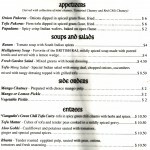 All of this in an omnivorous environment with a cool vibe and convenient location. 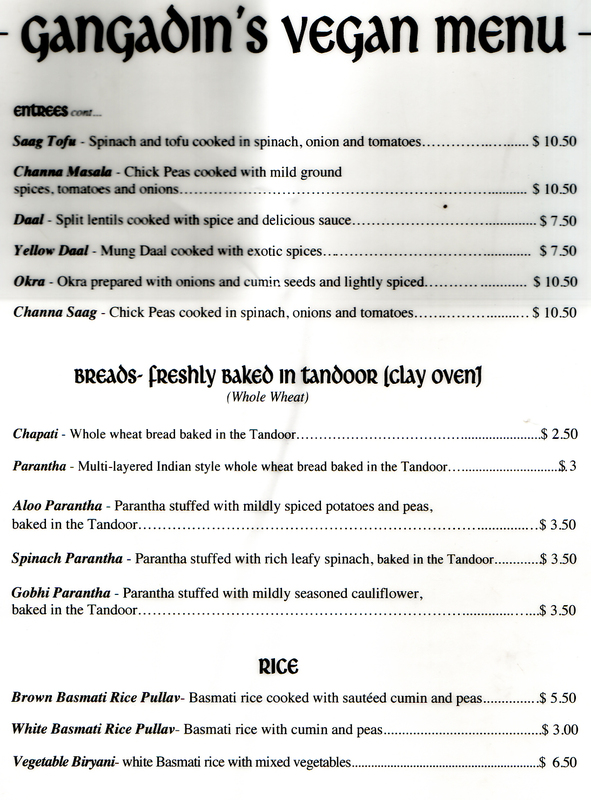 As it happens, I’m weeks away from hosting some omnivores that hail from England: recognized as the home of Indian cuisine, so following a recent post on the Quarrums, we decided to do a dry run of Gangadin so we could check out the “vegan friendly” options on the menu. Upon arrival, we were searching the menu for vegan items (the word “Vegan” doesn’t appear anywhere), and were planning to play the substitution game with long faces until we noticed the “ask about our vegan menu” subtitle on the front page. Upon reading that, I went to the rear of the restaurant to ask about vegan offerings (as our server was at best inattentive, at worst rude) and was handed “GANGADIN’S VEGAN MENU”, so I scuttled back to our table, and we began to order with aplomb. 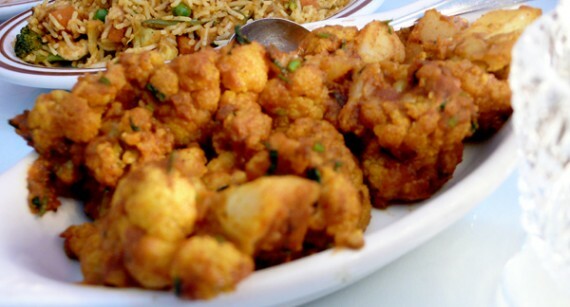 First, we had the Tofu Pakoras. 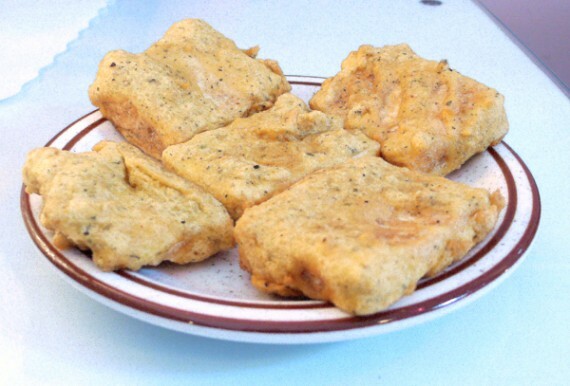 In some ways, they reminded me of the vegan fish and chips at Weird Fish, as they were slabs of firm tofu fried in batter and perfectly seasoned. It’s a fact that I’ve eaten Indian food in all 13 continents (including India), and this is by far the best appetizer I’ve ever had. In fact, it was so good I was tempted to order another serving as a main dish! with a side order of Spinach Paratha – basically two paratha breads with steamed spinach stuffed inside and cooked in a hot Tandoor oven. The quality of the food was superb — with or without it being vegan. The spices and textures worked very well together, and the seemingly endless supply of condiments and biryani rice gave a rather filling feeling to the evening leaving us most replete in our quest for curry. Do you know of the poet Rudyard Kipling? If so, you’ll certainly know the poem Gunga Din. It ends with “Tho’ I’ve belted you and flayed you, By the livin’ Gawd that made you, You’re a better man than I am, Gunga Din!”. Kinda sums up Gangadin (sic) in many more ways than one. 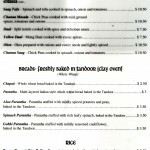 I love onion pakora but that tofu pakora looks really good! Their web site says they give a kcrw discount. 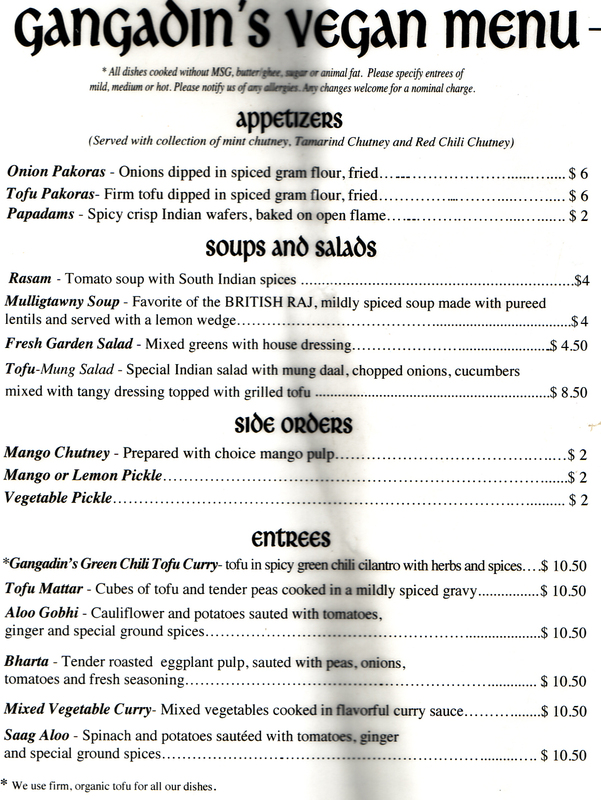 First Copper Chimney rocks my world with their vegan menu and now Gangadin gives me hope of more delicious vegan Indian fare. This place is moving up high on my list of places to try. Thanks!! that stuff looks gooooooooooo-od and i don’t even like indian food. such a coincidence that you posted this–literally just yesterday I was running errands right by there and was thinking I had to try it, and now I definitely will! Great find!!! And in my ‘hood too! Cheers! 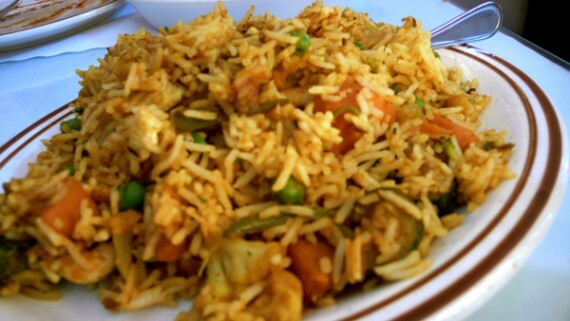 And what is the best indian rest in LA ?